The Cheapest DVD prices available. In the glam world of high fashion, image is everything. Chic styles come and go with each season, and the only constants are the size zero models who wear them. 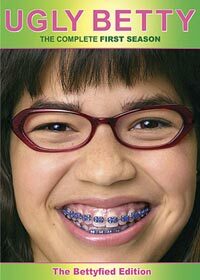 How can Ugly Betty Suarez, an ordinary girl from Queens land a job? Episode 9 Lose the Boss?